Here at Christian Day we are specialists in the manufacture and supply of outdoor and garden planters. 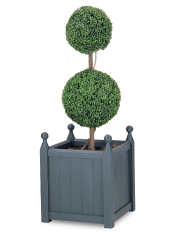 We have a wide range of planters in stock, in a variety of materials including GRP, timber, metal, plastic and stone. We are the UK’s leading manufacture of plant containers and planters, since we were established we have built a reputable company based on our experience and expertise within the industry. This has enabled us to work with a number of high profile clients from a range of sectors. 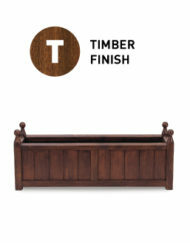 All of our garden planters are manufactured in the UK, so we can guarantee long lasting and weather durable products. Our GRP planters are manufactured with an internal waterproof sealing coat which guarantees 100% water tightness. We know our planters aren’t right for everyone, that’s why we offer a bespoke outdoor planter manufacturing service. Christian Day can produce bespoke garden planters to match your exact requirements, we offer a range of materials that your planter can be made from including galvanised metal, stainless steel and lightweight aluminium. The process can’t be easier, all you have to do it send us a drawing or sketch of your desired outdoor planter and we will put together a quote for you. With over 30 years of experience in the industry, our team know the ins and outs of every outdoor and garden planter we manufacture and supply. For more information about any of our products, call the team today on 01562 515579 or email us on christianday@aol.com and we will get back to you as soon as possible!